I am champing at the bit. I can do very little on the boat until we get her off the high trailer. We are almost there and today I discuss strategy with Kiyuna san. He has to; attach a ratchet to the winch to facilitate raising and lowering the center plate, finish coating and sleeving the plate itself and finally reinstall the center plate surround onto the keel. He reckons he can get this done this week, typhoons permitting. Hooray, as once he has finished the big boy stuff I can get stuck into all the simple jobs that need to be done. 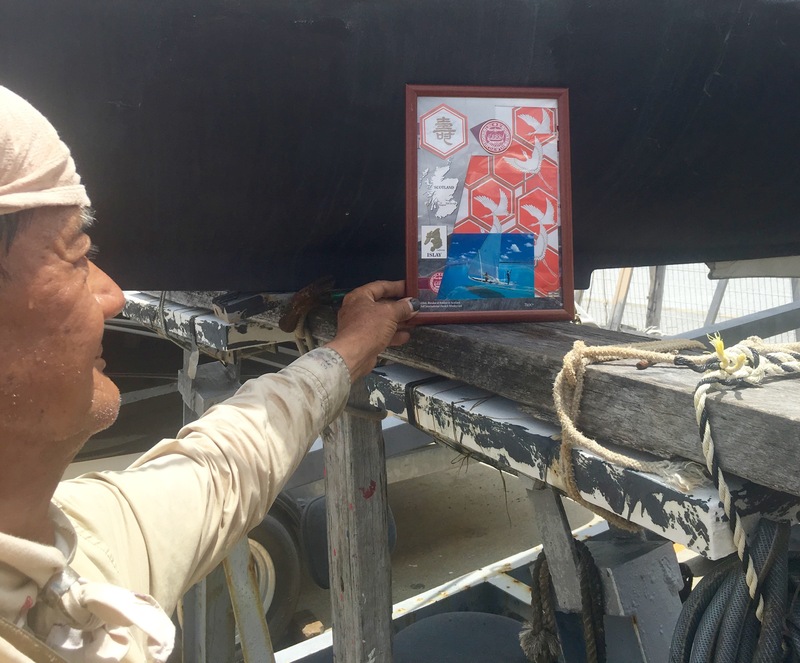 He also mentions that boat needs a shrine. Er yes, I say. Here it is says Kiyuna san, handing me a framed collage. He never fails to astonish me. The cranes represent longevity, they live 1000 years you know. The Kanji says something about good health but Kiyuna san’s English let him down here and he was clearly frustrated by not being able to express the true meaning of the symbol. Japanese friends, what does it mean? 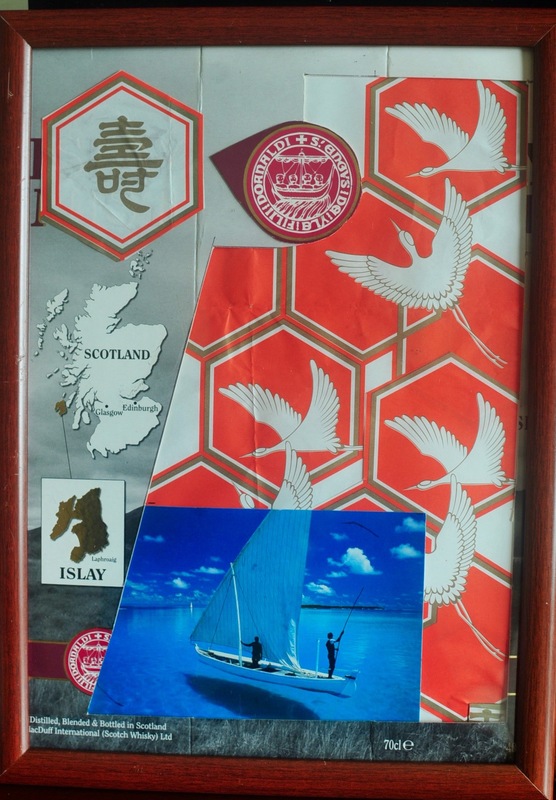 The rest of the collage elements he has taken from the boxes of bottles of whisky I have given him. The seal shows the Galley of Lorne, which is frequent iconography in Argyll. 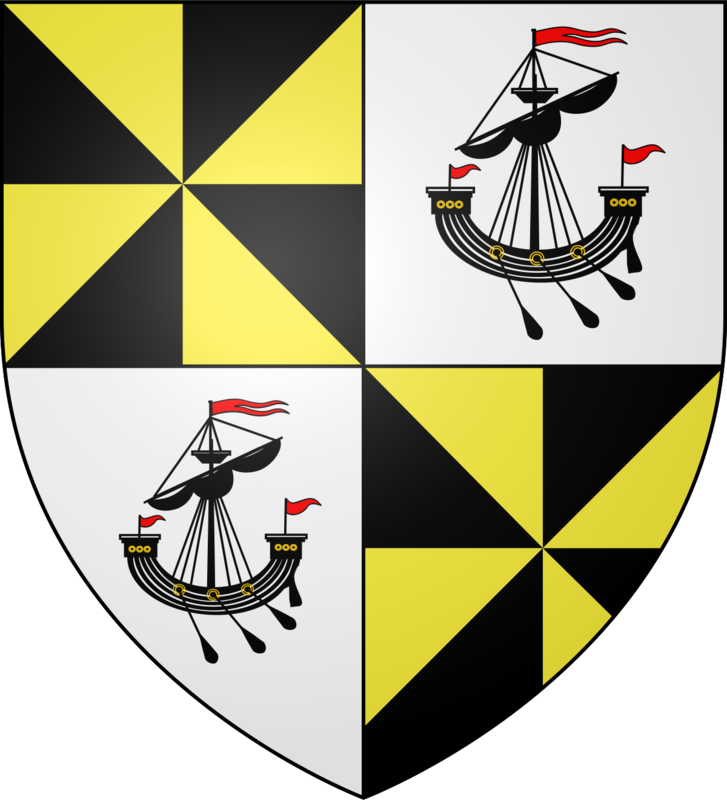 The arms of the Duke of Argyll. I will install the shrine in the cabin when the time comes. 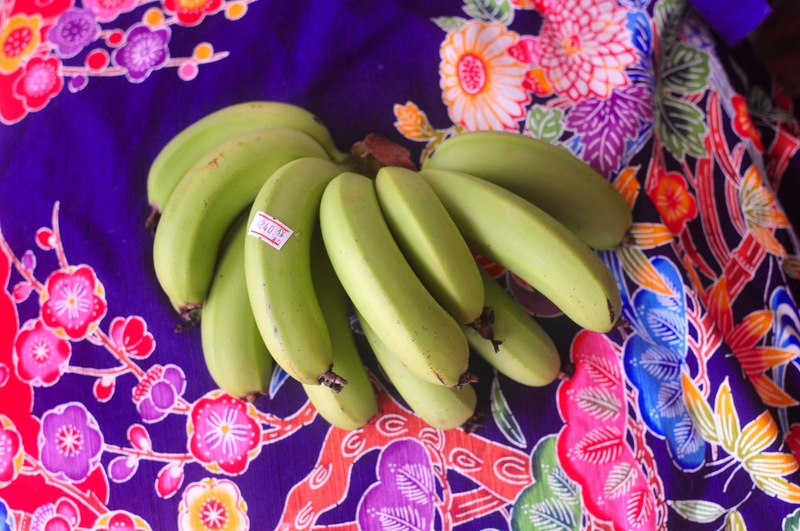 Little Okinawan bananas that are coming into season.